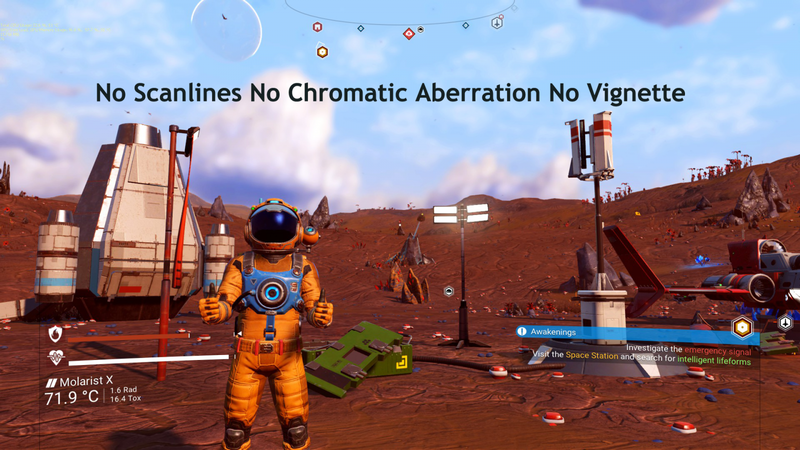 Simple mod to remove the Scanlines, Chromatic Aberration and the Vignette has branched out into all of these variants. Please select only one and Enjoy. 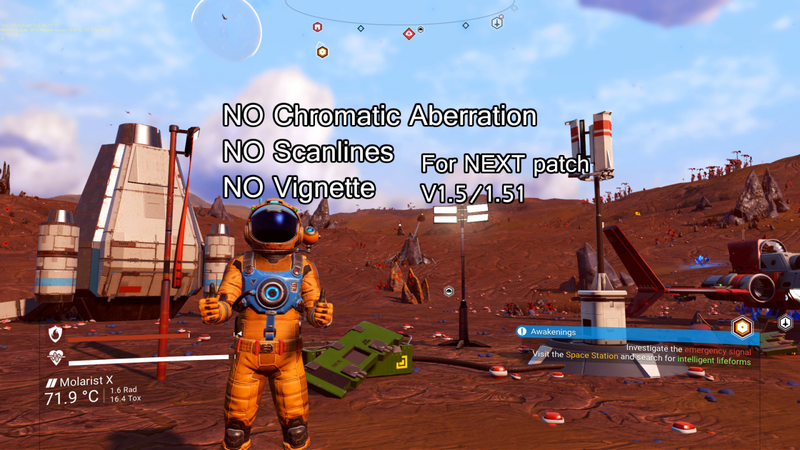 [_NoScanlinesNoVignette.pak] No Scanlines and No darkening at the top of the screen, Chromatic aberration still there. [_EverythingGoneButVignette-v2-Stronger.pak] Stronger version of other file demonstrating Hazard Vignette. [_EverythingGoneButVignette-v3-Stockalike.pak] Very slightly weaker than stock Vignette. 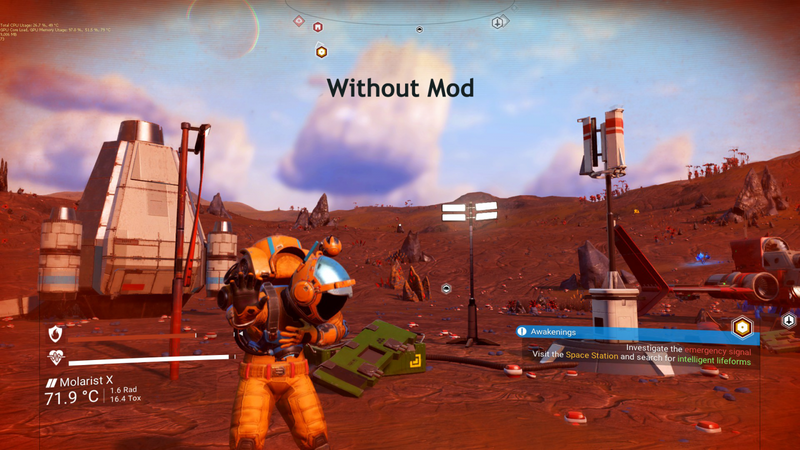 Navigate to No Man’s Sky/GAMEDATA/SHADERCACHE/ and delete all shader cache files or the mod will have no effect. Place the desired .PAK file (inside the zip file) in the No Man’s Sky/GAMEDATA/PCBANKS/MODS folder. If the “MODS” folder don’t exist create it. And then delete the “DISABLEMODS.TXT” in the PCBANKS folder or rename it / move it to another folder. Otherwise no mods will be loaded! Any mods that change this file will be incompatible with this mod. V6:Reworked all versions, added new screenshots. v3: New variant with Chromatic aberration reduced. v2: Slightly better thought out hack to remove scanlines and vignette from top of screen, with added option of keeping scanlines.